The girl opened the door of my notions shop, Buttons and Bows, and slipped in sideways. She couldn’t have been more than ten years old. 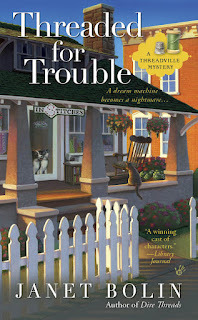 She reminded me of myself at that age, short, with plenty of brown curls and big, dark eyes. Everyone loves shopping in Threadville, where you can buy every supply a needlecrafter could want, but this child was too young to be alone. I opened my mouth. I opened my mouth again. I stocked all sorts of sparkly things, but not diamonds. Together, the girl and I chose sparkly crystals and beads. I wanted to give them to her outright, but I could tell she wouldn’t accept. I charged her less than the marked prices. She questioned my math, and I told her it was a volume discount. She slipped out sideways and turned toward Batty About Quilts, and my shop was silent except for the echo of my door chimes. I thought, if any ten-year-old is going to grow up and give her mother diamonds, it will be this girl. What about you, have you ever met a chid who goes out of her way to show her parents how much she loves them? for Best First novel, and and for the an Bloody Words Light Mystery Award (the Bony Blithe.) DIRE THREADS IS available in stores everywhere. 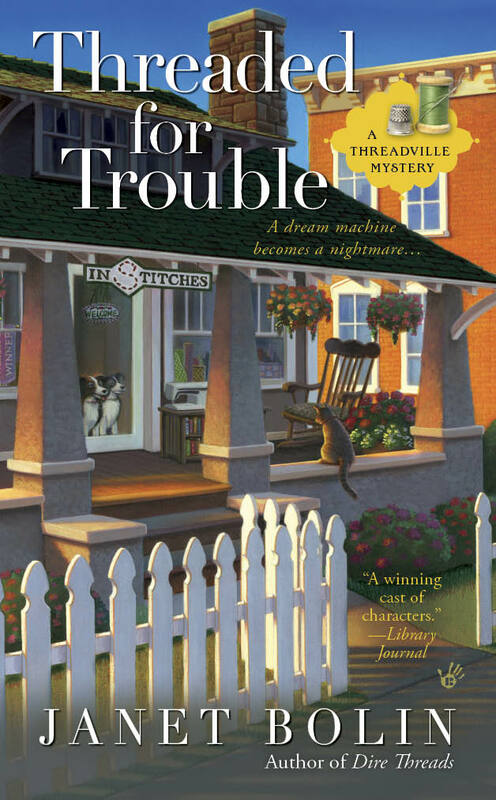 The second novel in the Threadville Mystery series, THREADED FOR TROUBLE, will be published on June 5 and is available for pre-order. I'll bet that little girl grows up to do more than give her mom diamonds! She sounds like one determined kid. I have a son, no daughter but he's a gem! This gal sounds delightful, too. Edna, I have a daughter that's a gem, too. And step kids and a nephew. We get our kids in all sorts of packages. Some grow up early and some late. Determination...that's a gift, don't you think? No kids, just cats, but they're people too (in a different package as Avery said). 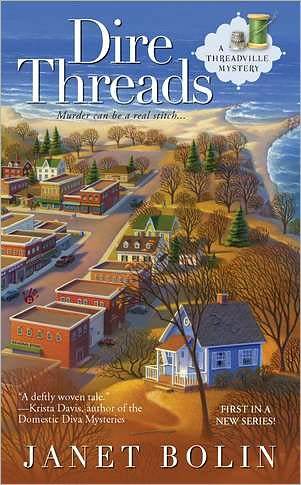 I bought Dire Threads last year on my birthday(June 21) but haven't read it yet. Well, I started it but never got back to it. So many books (mine and ones from the library), so little time! Maybe I'll read it this year. My mom was the youngest of 7 children, born near the end of the Depression. She was always sad that her mother didn't have a diamond engagement ring, just a plain gold band because that was all my grandfather could afford. Like the girl in your store, my mom wanted her mother to have a diamond. My mom spent her first paycheck she ever earned to buy her mom an engagement ring with a tiny diamond. After my grandmother died, my mom inherited that ring back and on my next birthday my mom gave me the diamond, this time mounted in a pretty pendant. I think she likes giving diamonds even more than receiving them.